For this self-driving car, the roadside hazards included traffic jams, undisciplined bystanders—and centuries-old cannons. That’s what you get when you demonstrate your latest technology at the National Army Museum in central Paris, as French companies Safran and Valeo did on Friday. There were no wheel-spins or clouds of dust: This was a simulated urban environment with traffic lights, slow-moving or stopped vehicles ahead, and speed limits of 20 km/h or less. The car glided to a halt a few meters behind a stopped vehicle, moving on as soon as the way was clear; respected stop signals; and slowed gently at a variable sign indicating the speed limit had dropped to 10 km/h. When the curious crowd spilled into the road at the circuit’s finish line, the car pulled up cautiously a few meters short of the line. In this prototype dashboard display for semi-autonomous vehicles, a summary of the journey appears in the top-right corner. Blue indicates the portion already completed, the exclamation marks in yellow and black bubbles indicate hazards, while stretches with traffic jams are shown not in the usual red but a cheery green. Vehicle manufacturers expect the first self-driving cars to be semi-autonomous, initially only taking control in stop-start urban traffic. That’s more or less what Safran and Valeo demonstrated here. The demonstration used a Volkswagen, but it could equally have been a Peugeot or a Nissan. Employees of the two parts manufacturers said they’re in talks with many manufacturers, but wouldn’t name them. Today, for example, in-car navigation systems highlight traffic jams in red—but Valeo has chosen to color them green on its display. “We’ve chosen a positive color for jams because in future we hope to turn them into time in which you can do what you like,” said Valeo industrial designer Jean-Patrick Favier. 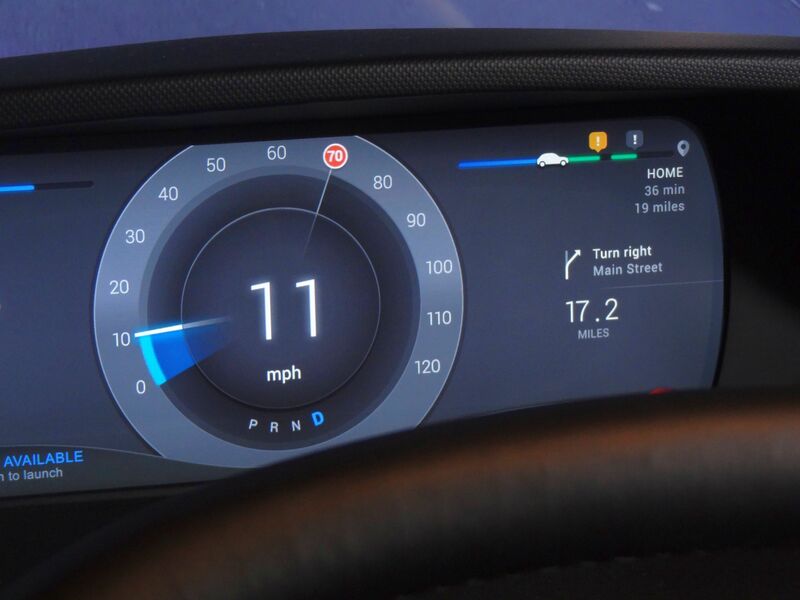 He went on to show how drivers will engage and disengage the “autopilot” using two touch-sensitive display panels on the steering wheel, and how this will affect controls for the in-car entertainment system. With the driver in control the interface is minimalist, showing just audio volume and the name of the radio station or track playing, much like on cars today. 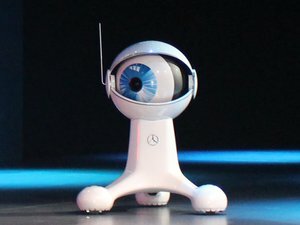 In self-driving mode, though, the interface becomes much richer, displaying album covers or movie trailers drawn from the driver’s mobile phone. While smartphone manufacturers are pushing Android Auto or, in Apple’s case, CarPlay, as a way to simplify a phone’s interface for in-car use, Favier says that’s the wrong approach for autonomous vehicles. “CarPlay will be limited in the number of applications you can use and in its interface, because it’s designed to be used while driving,” he said. Instead, he said, Valeo expects self-driving cars to connect via interfaces developed for home entertainment systems, such as AirPlay, Chromecast and Miracast. Safran and Valeo also showed other technology they’re developing for future vehicles, including a Bluetooth locking system ideal for car rental and sharing, a precision inertial guidance system for when GPS is unavailable, and some disappearing side mirrors. It's a parking camera on steroids: Valeo's 360Vue 3D processes images from cameras below the grill, under the side mirrors and in the tailgate to provide a 360-degree view of obstacles around the car. As a bonus, you can spin the overlaid image of the car around until you get just the view you want of that tight parking space before maneuvering. 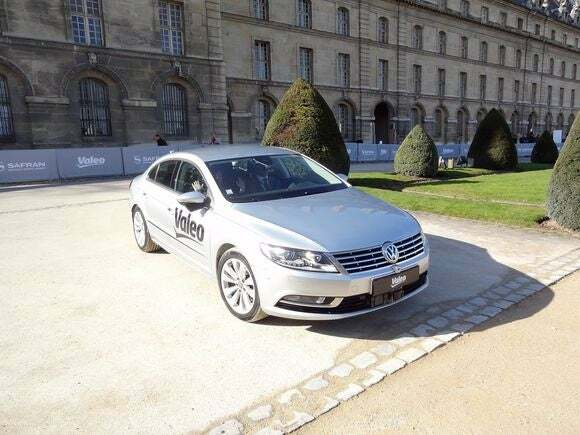 The side mirrors didn’t actually disappear, but Valeo hopes one day they will. By replacing bulky, unaerodynamic mirrors with cameras that lie almost flush with the car body, automotive manufacturers can cut carbon dioxide emissions by 1.3 grams per kilometer. That’s a savings of around 1 percent on the average emissions of new vehicles today, and a step towards the European Union’s target of average emissions of 95 grams per kilometer for new vehicles sold in 2020. Other benefits of the system include improved visibility at night, with better contrast and no dazzling reflections, and in rain: With the display inside the car, there’s no need to look through a layer of raindrops on the window, and potentially another layer beaded on the mirror. The most distracting exhibit, though, was a reversing camera on steroids. The camera—actually four cameras, under the front grill, the two side mirrors, and in the tailgate—provides an all-round view of the car on a dashboard display. This in itself is not new, but the way Valeo processes the images is unusual. 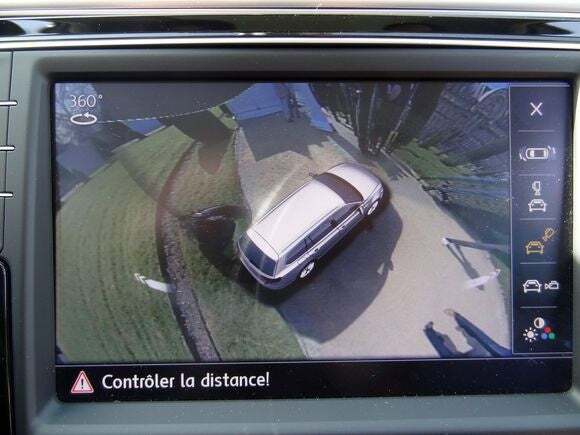 In addition to the “top-down” view of the car’s immediate surroundings found on some high-end vehicles today, Valeo has added a bowl view, showing more distant objects compressed into the edges of the image, and a remarkable “virtual reality” view. This overlays the scene with a 3D image of the car, which can be viewed from any angle, simply by touching and dragging. As it spins, the backdrop of its surroundings moves too, allowing the driver to size up that narrow parking space thoroughly before maneuvering. Of course, they could just hit the auto-parking button and let the car figure it out, but where’s the fun in that?